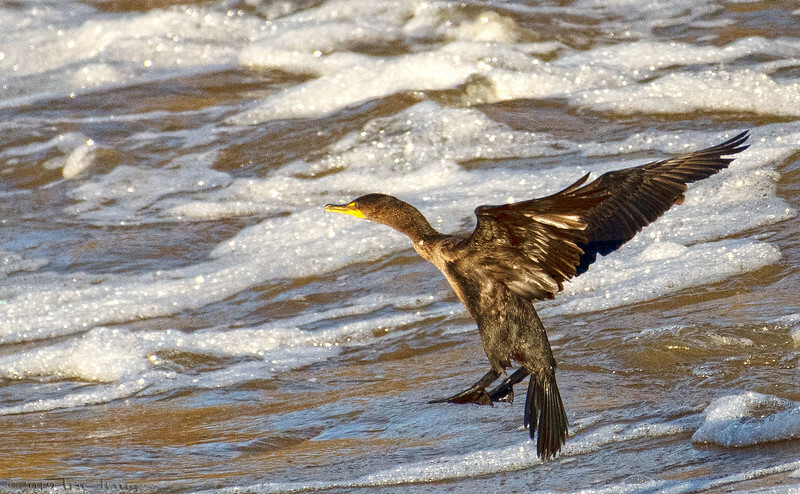 A cormorant makes its final approach for landing. Very cool shot and superb timing. The water is also very photogenic. Well done! I really like the milky, bubbly look of the water as the bird makes it final descension!